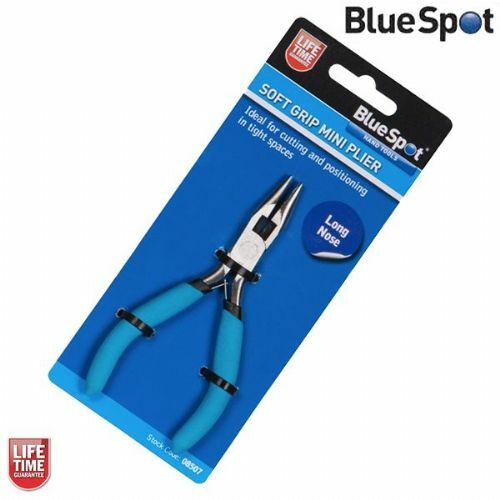 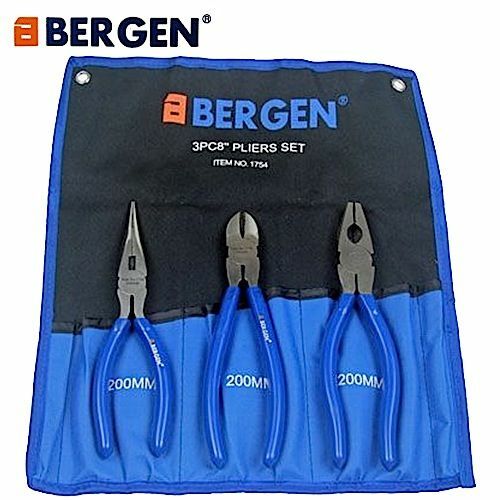 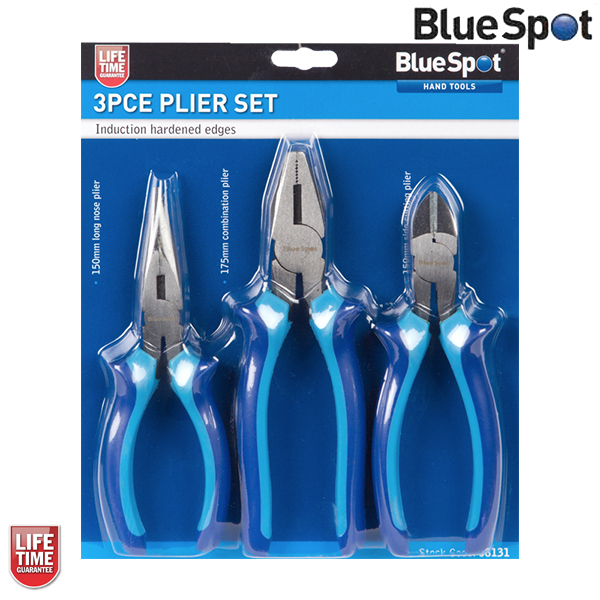 The Blue Spot Tools 3pc plier set includes a 150mm long nose plier, 175mm combination plier and a 150mm side cutting plier. 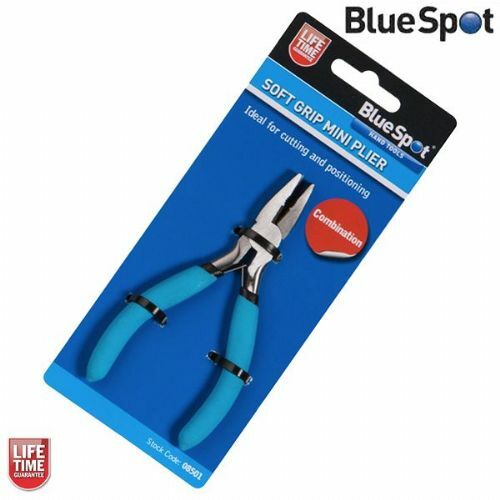 All of the pliers have a heavy duty soft grip handle for protection and comfort during use. 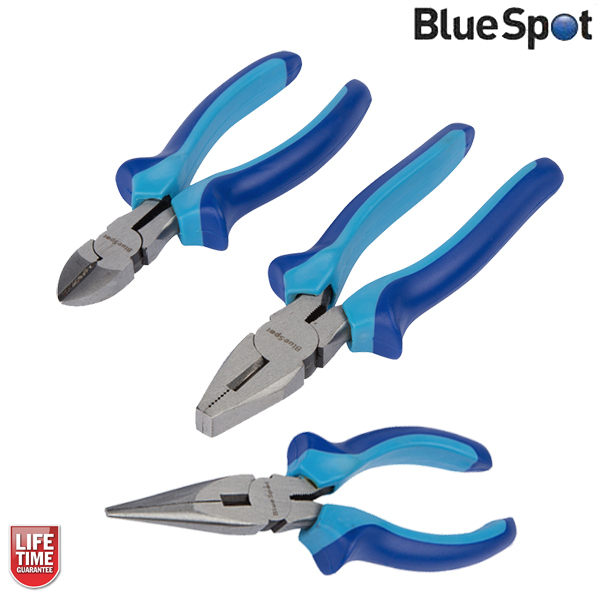 Drop forged with induction hardened edges providing superb construction.